Well, apparently I’m a sucker for alliteration. And themed posts. Hey, whatever works right? And it’s Friday, by this point in the week I’m just happy it’s the weekend and I’m looking forward to my 3 day break from thinking. Joking, of course, because I still (always) have homework to do but it’s still nice to have a few days off from classes and the daily grind. All the way from the U.K. and not even that great. I took my first “progress” pics…and I’m actually posting them! Definitely not where I want to be, but hopefully I’ll make some gains soon! I started lifting at the beginning of February (light weights, nothing too crazy at first) and I wanted to take some progress pics to establish a baseline. I have noticed a few changes, mostly that my biceps are a bit more defined than they were, and my triceps are tighter when I flex. I really want to start seeing some changes in my stomach (I have a few ab like lines when I flex but they’re not as defined as I’d like) and my legs are still one of the spots I don’t like on my body. I always feel like they’re huge, flabby, etc. even though I know they’re muscular and (hopefully) not huge. I just need to start accepting my thighs for what they are! I love having leftover sushi as a salad topper. After coming back up to campus on Monday evening and having to make a grocery run, I decided to just do a lazy dinner and get some veggie brown rice sushi from Whole Foods. I split the box into two servings, and enjoyed one of them the other day for dinner on top of a peanut flour and coconut aminos-massaged kale salad. And tonight, I’m planning on getting sushi from an actual sushi place with a friend. Nothing beats a Friday night sushi date! 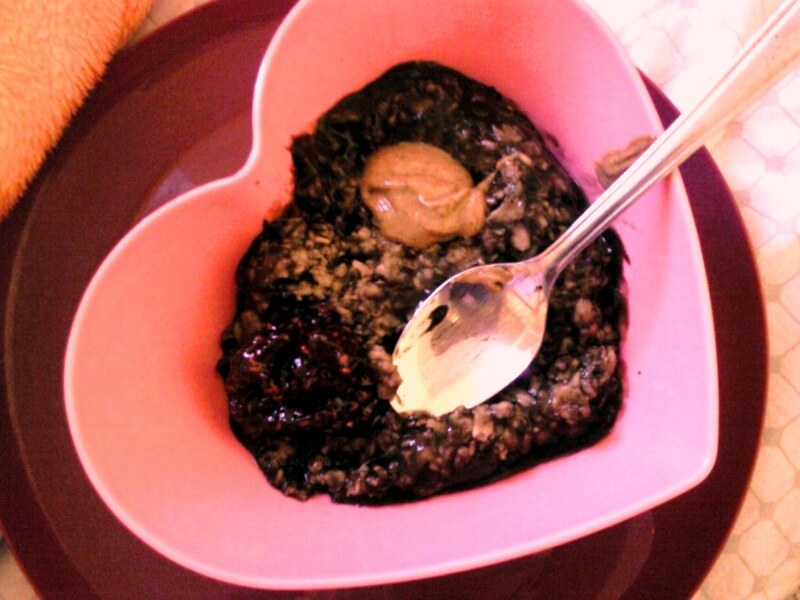 I just can’t get enough…of chia puddings for breakfast! A tiramisu inspired pudding. Made with Sunwarrior vanilla, ground coffee, chia seeds and topped with 1/4 raw chocolate brownie Pulsin’ bar and the last of the coconut whipped ‘cream’. These are becoming my new breakfast obsession. Actually, I could eat these for any and all meals, they’re just that good. The version I had yesterday morning was one of my favorites, nothing beats the coffee/chocolate/coconut combo. 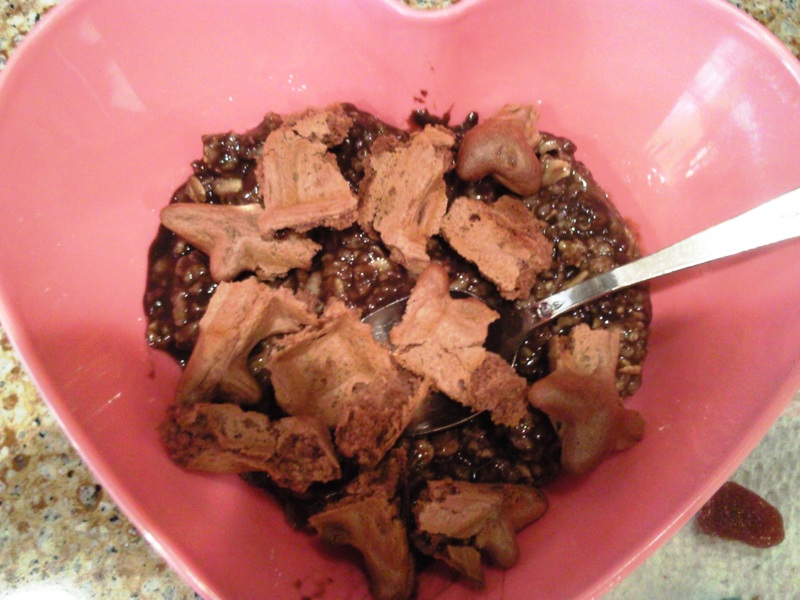 In a small bowl, mix together protein powder, chia seeds, coconut flour and ground coffee. Add enough almond milk to make a creamy and thick consistency with no dry spots. Add a little extra if you want your chia pudding to be more liquid-y. Refrigerate overnight and serve in the morning topped with coconut whipped cream (just the thickened part of a can of coconut milk that’s been refrigerated overnight or a few days), more ground coffee and a chocolate Larabar-type bar. Makes 1 serving. 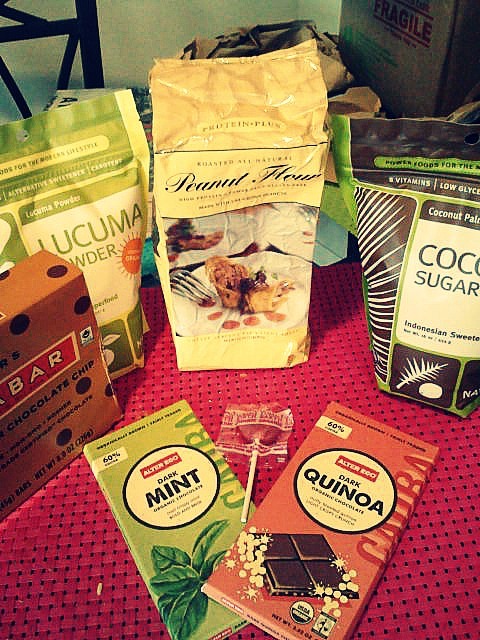 The latest iHerb order…including new-to-me lucuma powder and a free watermelon lollipop! So I should have known when I first ordered from iHerb (November 2011…wow how time flies!) that I’d become addicted! I only buy from them once a month, mostly for my peanut flour fix, but they have great selection, decent prices and they always ship out pretty quickly. My latest order shipped out on Monday and I got it Thursday morning…free shipping rocks! I got my beloved peanut flour, my favorite chocolate brand in the two flavors I can never find (and love the most), a big thing of coconut sugar, my favorite Larabar flavor in a 5 pack and new-to-me lucuma powder that I’m already loving! 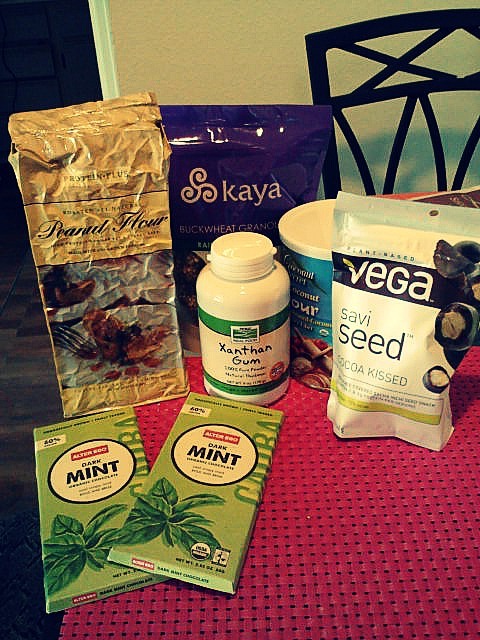 If you’ve never shopped on iHerb…do it now! Oh, and use my code NOQ779 for $5 off orders under $40 and $10 off orders over $40! What’s going on in your world food and fitness wise this Friday? What hashtag sums up your life right now? Recipe submitted for Healthy Vegan Friday #32. Hi guys! Sorry I’ve been a little absent lately–the semester’s starting to get busy and I literally have next to no time during the middle of the week for anything but sleeping and getting homework done. But I’m more thankful than ever to have three day weekends every week–it’s seriously my lifesaver. Anyways, I didn’t want to let a whole week go by without another post so I’m throwing a little Friday Five fun in here! The best vegan restaurant pizza I’ve ever had. It’s hard to find vegan pizza in restaurants. It’s even harder to find amazing vegan pizza. I’m not one for fake cheese (don’t get the Daiya appeal) so I always go cheeseless. The other toppings are the best part anyways, especially in this case. My mom and I tried out a new-to-us restaurant in my college town called Restaurant 415. They aren’t specifically vegan, but they have plenty of gluten free and vegan options and focus on locally-sourced and organic ingredients. My kinda place for sure! I ordered The Woodland pizza sans the cheese and I was pleasantly surprised by how good it was. 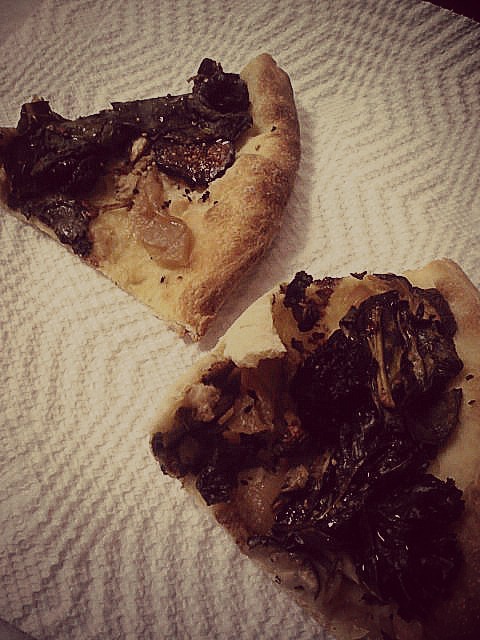 The crust was not too thin or too thick, and it came topped with garlic & olive oil, mushrooms, deliciously salty & crunchy kale (when do you ever see kale on a pizza?! ), dried figs (ditto), caramelized onions and a balsamic glaze. The sweet and salty flavors worked together perfectly and I was in vegan pizza heaven. Banana softserve…with a twist. Who doesn’t love banana softserve, aka frozen bananas all blended up until they look like ice cream? 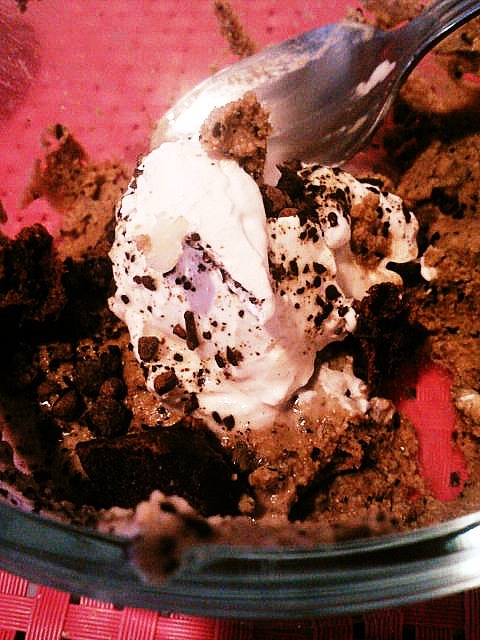 Seriously, one of my favorite blog food finds ever. Well, I also discovered a little trick recently: mix almond butter (or nut butter of choice) with a little coconut oil and drizzle over banana softserve…homemade magic shell! You can even add cacao powder or whatever you want to make it even better. I like topping my softserve and shell with cacao nibs for the perfect healthified dessert. Who needs ice cream when you can have banana softserve? 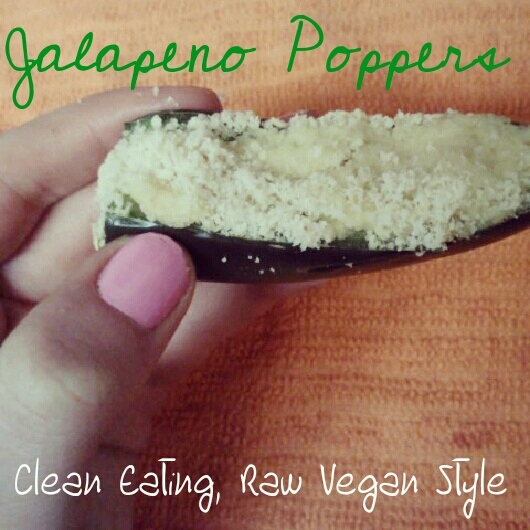 Raw jalapeno poppers. I’ve been eating them whole, putting them in salads…basically just loving them. I should have made more but I’ll definitely be stocking up on jalapenos this weekend! So spicy, so clean, so good! Brown rice sushi from Whole Foods. I’ve mentioned before how disappointed I am in the salad bar at the WF in my college town. 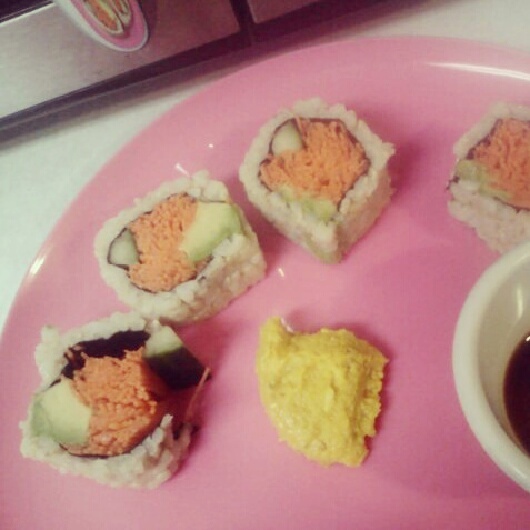 However, when I discovered their brown rice sushi, I just couldn’t resist. I’ve never had brown rice sushi before, let alone vegan-friendly brown rice sushi. 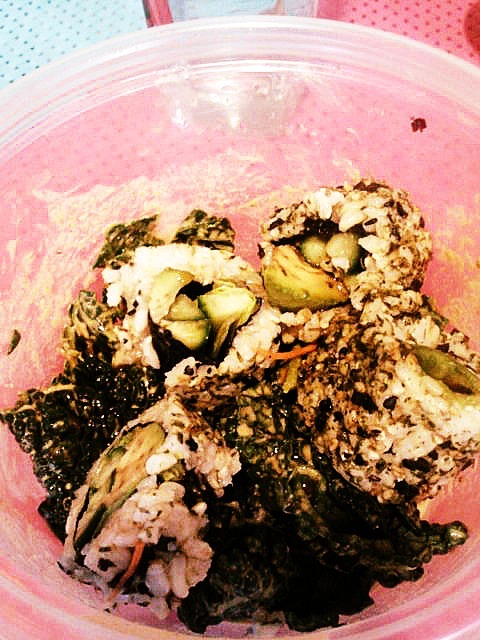 I got the avocado carrot cucumber roll and it was great dipped in coconut aminos and as a salad topping. An easy dinner at it’s finest. Salads…on salads on salads. 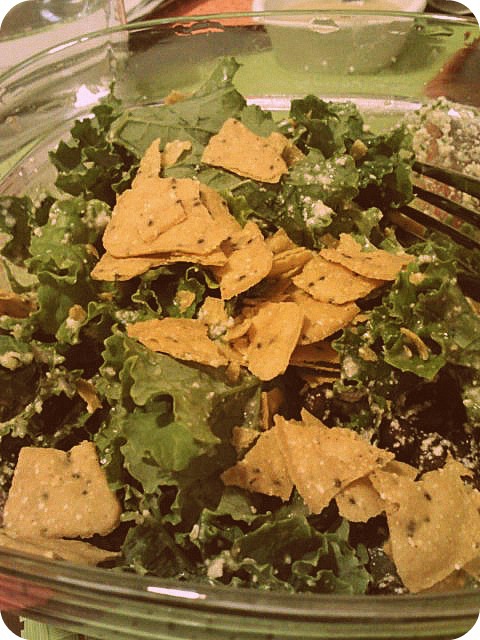 I’ve had a salad-a-day streak for at least the last three weeks, and I don’t want it to end anytime soon. I’ve discovered what makes a really great homemade salad–chopping the greens, shaking everything up to mix it around and letting it sit for at least half an hour in the fridge. It all makes for a very tasty salad. The toppings and dressings are what makes them, though. A set of weights. Yep, finally jumped on the strength training trend, and I gotta say, I really love it! I’m definitely not lifting heavy yet, but it’s good to start out light. And besides, I’m not so much wanting to build muscle as I am wanting to lean out. So lighter weights+more reps=(hopefully) a leaner body! And they’re green, what could be better than that (besides pink)? A geology textbook and cacao nibs from Amazon. Random, yes, but I needed to get the super saver shipping so the cacao nibs were a much-wanted add-on item. The textbook is obviously for the geology class I’m in–I took it because it’s supposedly a prereq to the meteorology program I want to get into after graduation and I don’t really love it so far (mostly because of the professor) but I have a friend in it so that helps a lot! Love getting packages in the mail! Some new-to-me Whole Foods finds. Yes, I love shopping online for things I can’t get near me, but there’s nothing like a good old-fashioned shopping trip to the grocery store. On my last trip to Whole Foods, I got a bunch of new-to-me items and I’m loving them all so far. The best is the Thai coconut curry hummus by Hope Hummus–it’s a local brand, but they might have it in WFs across the country so definitely check them out if you ever see them near you. This is the best hummus flavor I’ve ever tried, period. I also got a couple new Larabar flavors, unsweetened ketchup, coconut oil spray, dark chocolate Nuttzo (it was on sale!) and WF brand pickles (because other brands have not-so-good ingredients). There’s always something new to try at Whole Foods. Chicnova. It’s an online store I just discovered that has a ton of cute, affordable clothes in all kinds of styles. I haven’t ordered anything (yet) but there’s quite a few things I’m drooling over. Warby Parker. Notice the online shopping trend? Okay, so I haven’t bought from here either but I love the concept: you get to choose prescription glasses to try on at home, and you send back the ones you don’t like. I’m a sucker for hipster style glasses, so the next time I need a new pair, I’ll definitely be hitting up this store. 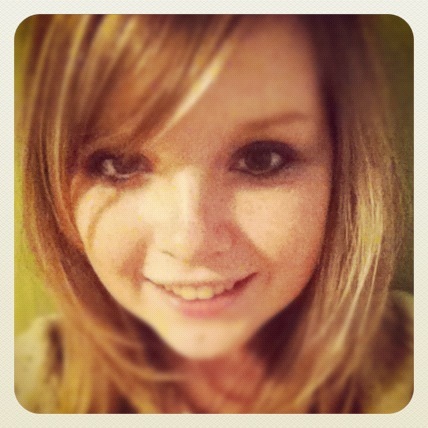 PicMonkey. The best free editing site I’ve come across. I just wish I could use all the upgraded features. Weather Channel. Yep, I’m a weather nerd and proud of it (that’s why I’m going into meteorology!) Besides just the forecasts, they also have weather stories and articles that are really interesting. For example, I found out the other day that Denver is in the top 6 cities for most snowfall. I actually don’t believe it, because for the past few years we haven’t gotten much snow at all! Do you do any strength training? What’s one of your favorite sites at the moment? So who else had an awesome weekend? I finished two papers this weekend (not exciting, but it always feels great to get those done with, plus it means I’m just that much closer to being done-zo) and also saw Wicked at the Denver Center on Sunday. My sister is a huge musical fan, and Wicked is probably her favorite show, but this was my first time seeing it and I was blown away. Such an amazing score, costumes, actors and story. If Wicked comes to a city near you, I definitely recommend seeing it. As I’ve mentioned probably a bazillion times, it’s my last week living in a dorm, and I only have 3 more days left as a sophomore. It’s kinda bittersweet, since I really enjoyed this year, but I definitely have some bigger and better things ahead of me, both this summer and in the fall, so I’m just ready to be done with this school year. So this WIAW is my final compilation of dorm room eats. I will NOT miss only having a microwave to do my cooking in! 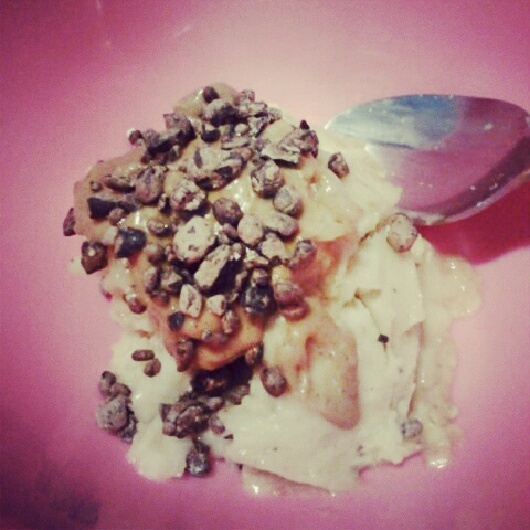 A recent breakfast obsession: banana 'pudding' topped with crushed PB & chocolate Puffins. I’ve been having smoothies-in-a-bowl almost every morning since I bought xanthan gum. I am so glad I made that purchase, because now my smoothies are so thick and creamy, almost like pudding. This one tasted like banana pudding, and it was amazing topped with Puffins. 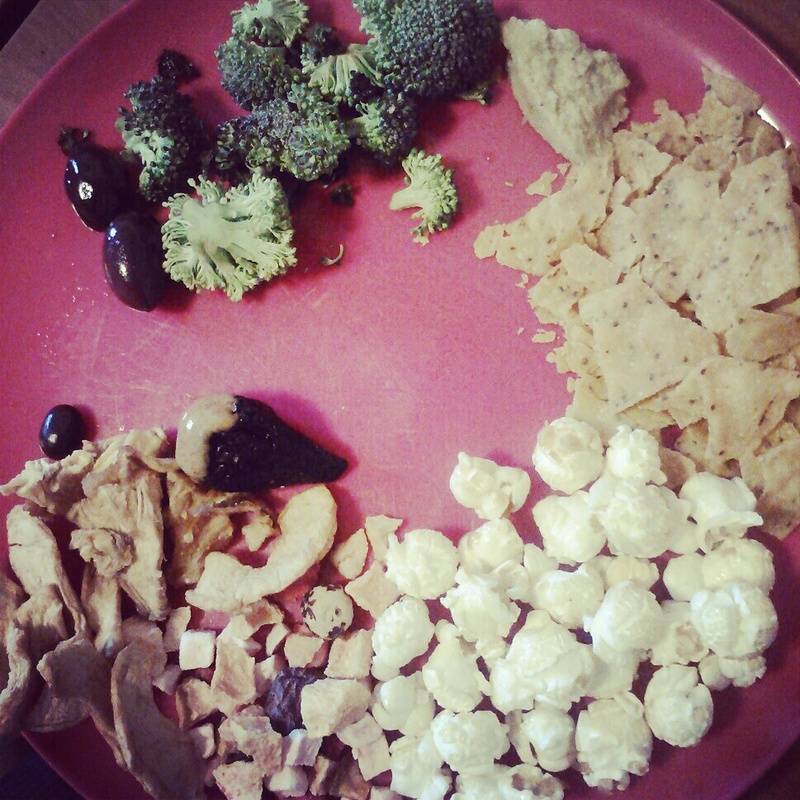 Return of the snack plate: raw broccoli, spicy avocado Hope hummus, crushed Late July sweet potato chips, kettle corn, mixed dried fruit, kalamata olives. I know most of the blogworld is obsessed with certain brands, like Chobani for Greek yogurt, Love Grown for granola and Sabra for hummus. Let’s just say I’ve never been one to go with the trends 😉 My favorite hummus brand is Hope Hummus, which is a Colorado company. They only make 3 flavors right now, but the spicy avocado flavor is the best hummus I’ve ever tasted. Just like the diet cream soda I used to live, only more natural! Diet cream soda used to be my favorite soda flavor. I never drank soda a lot, but when I did it was usually that. 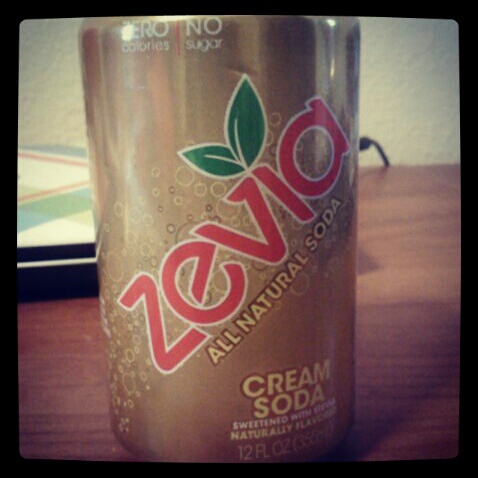 Now that I avoid fake sweeteners, I love that there’s a more natural alternative to diet cream soda. And it tastes so good! A very summery outfit: navy lace tank with pinstripe belt (Abercrombie Kids), red/navy/white plaid twill shorts (Abercrombie and Fitch), silver bangles (American Eagle), unpictured red flip-flops (Hollister). It's crop top time! Dark grey Navajo-style cropped tee (American Eagle), fish necklace (American Eagle), dark wash jeggings (American Eagle). Time for an outfit break! I’ve been loving the super warm weather (can anyone say 70s and 80s in April?) and wearing all my springy and summery clothes again. Summer is my favorite season for clothes–I could just live in dresses, cute twill shorts, pretty tanks and tees and leather sandals. Sweet potatoes are back! 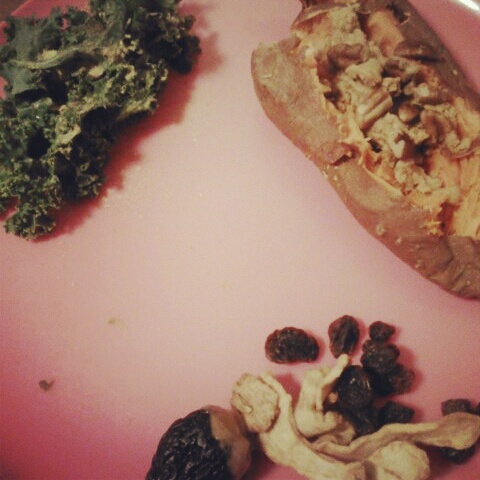 Sweet potato topped with peanut flour paste and pecan pieces, raisins/dried apples/Mission fig dipped in almond peanut cashew butter, cheezy lemon pepper kale. Sweet potatoes don’t go away just because it’s almost summer. Oh no! I enjoy them year-round, with a variety of toppings. I especially love nut butters/peanut flour/actual nuts on top. Stuffed dates are my favorite little treat! 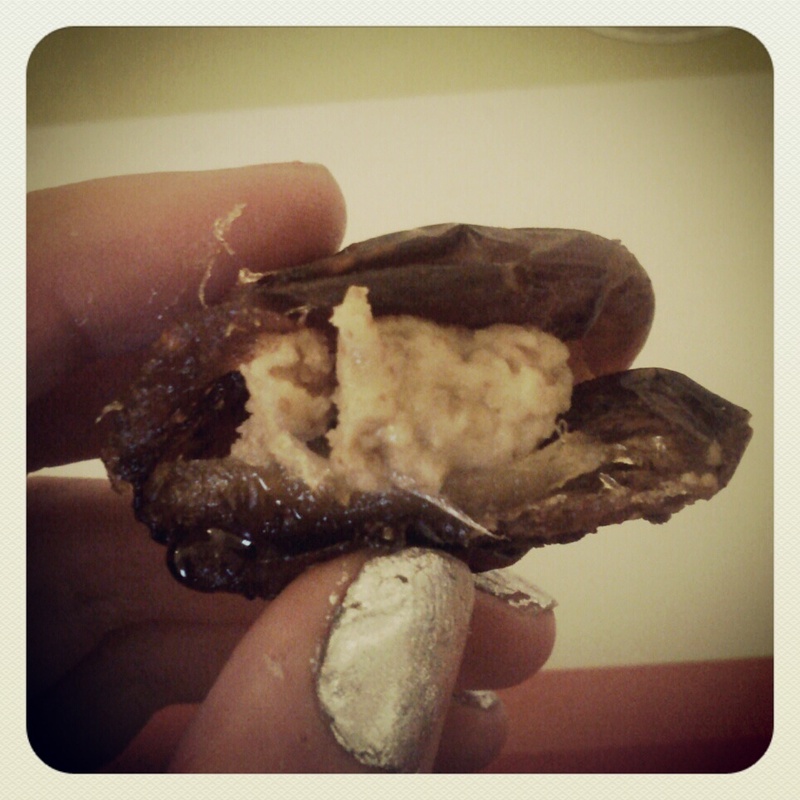 If you’ve never stuffed a Medjool date with some kind of nut butter, you’re crazy! My recent favorite is honey walnut butter–basically I took some Artisana raw walnut butter and stirred in a little raw honey. I normally don’t like raw nut butters because they’re blander, but the touch of honey made it perfect. 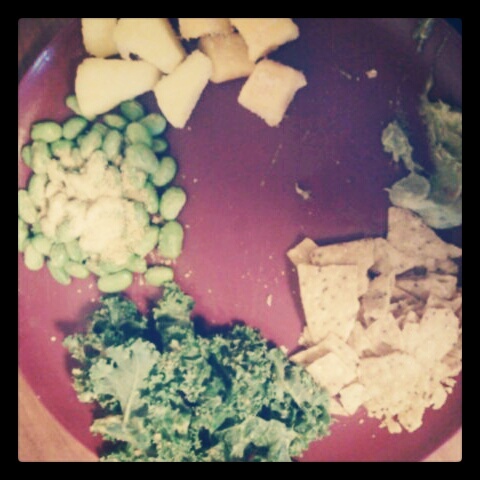 A random dinner: frozen pineapple and mango, spicy guacamole, crushed Late July sweet potato chips, cheezy lemon pepper kale, edamame with nooch. Squeeze lemon juice over kale in a bowl or measuring cup and massage into leaves. Add salt and pepper to taste, and nooch to coat the kale. Stick in the fridge for at least an hour, and enjoy as a salad base or a side dish (makes 1 serving). 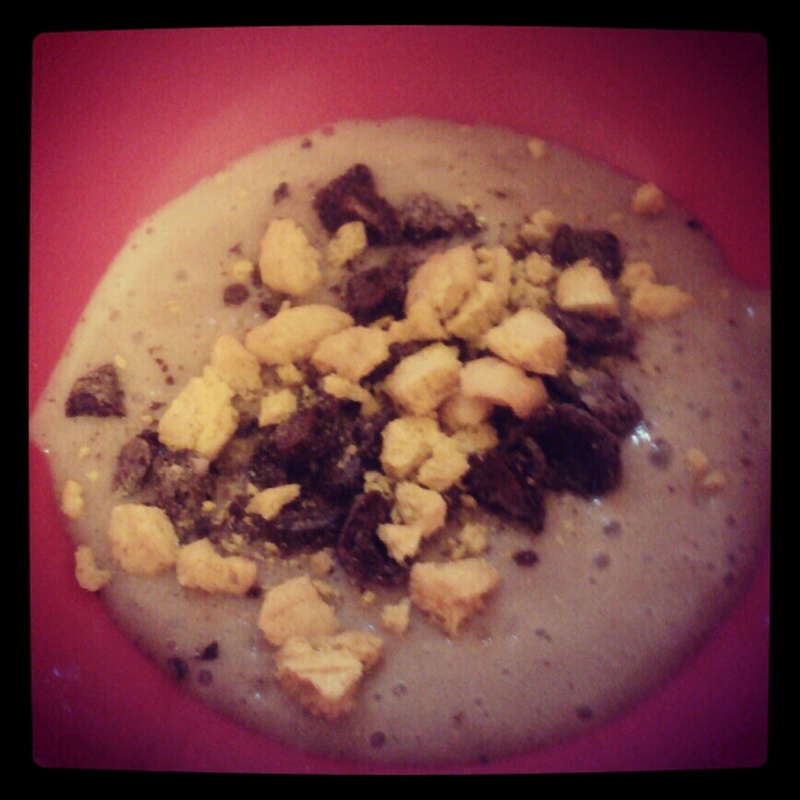 Chocolate banana smoothie in a bowl with crushed PB & chocolate Puffins. The chocolate version is just as good as the banana pudding version, but it’s even better with the Puffins on top. 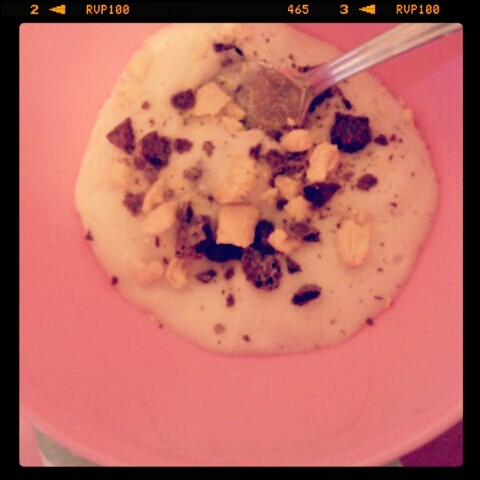 I love the contrast between the thick, smooth ‘pudding’ and the crunchy cereal. Another iHerb order: peanut flour (duh), cacao sweet nibs, tiny jar of kumquat jam, sunflower seed butter, Chocolove dark chocolate bar with sea salt and almonds. iHerb is officially my favorite online store ever! I can get so many foodie items that I either can’t find around me (cough cough peanut flour) or that are actually cheaper online. I finally realized that if you order at least $20 worth of stuff, you get free shipping. Score! 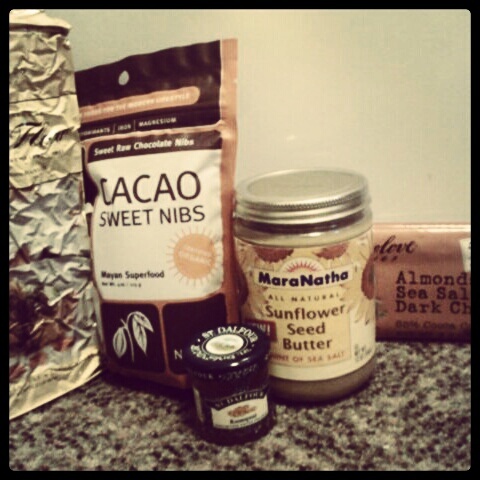 So I stocked up on more peanut flour (can’t live without it), as well as three new-to-me products: cacao sweet nibs, sunflower seed butter and dark chocolate with sea salt and almonds. And they sent me a little freebie, a tiny and super-cute jar of kumquat jam, which I can’t wait to try! So exotic. The sweet nibs aren’t exactly like dark chocolate, but I like that they’re a raw product and only have 3 ingredients. The sunflower seed butter is my new second-favorite nut butter after almond peanut cashew butter; it’s perfectly salty and seedy. And the chocolate is heavenly and probably my favorite Chocolove flavor. Dark chocolate+almonds+salt=perfection. What’s the most exotic jam or jelly flavor you’ve ever had? Do you like smoothies in a bowl? I’m gonna go with eggnog, but I like the Silk Nog, not the regular way-too-sweet-and-rich stuff. The Nog is so good without being too much. 3. Colored or white lights on the tree/house? In a perfect world, I would have pink lights on everything! But I think white looks so classy and wintery on houses. Ermmmm, no. I always think it’s super awkward if there is mistletoe for some reason. Usually the weekend after Thanksgiving. We like to have them up early, and don’t take them down until sometime in January! 6. What is your favorite holiday dish (besides dessert)? Gosh, I was totally going to say a dessert since that’s the best part! We don’t always have the same thing, but I remember last year we had chili lime pasta with grilled shrimp and it was sooooo good! My dad used to always read short Christmas stories to us on Christmas Eve right before we’d go to bed–I used to fall asleep though! 8. What’s on your Christmas wishlist? Lots of clothes, because I’m a total shopaholic and also a vegan cookbook. Nope, never! We always save them til Christmas morning and we try not to rush through opening them. We open stockings first, then have breakfast and get dressed and then finally open presents. When I was little, I always just wanted to open all my presents right away! 11. Snow–love it or dread it? I always love the first snow because it’s so beautiful, but I hate when it sticks around and gets all dirty. I also love snow on Christmas, but it rarely happens here. We almost always get snow on Easter in Colorado, though, which is super bizarre! We’ve never had a real tree because my mom has allergy issues with plants, but I think our fake one looks just fine! Plus we can reuse it year after year! I got a doll house when I was like 3 or 4 and I was soooooo excited about it! I loved playing with it for years afterwards. 14. What’s the most important thing about Christmas to you? Peppermint bark! I’m on a mission to veganize it this year, so check back for a recipe hopefully soon! I’m also kinda in love with the festive garland bars I made over Thanksgiving break, so those are a definite must-make-again. I think I mentioned in one of my recent posts that I got some free goodies from iHerb just for reviewing their products on my blog! How nice of them! I just got the package the other day and I swear I thought it was Christmas morning, I was so excited to rip into it! Delicious free food is a great early Christmas present! 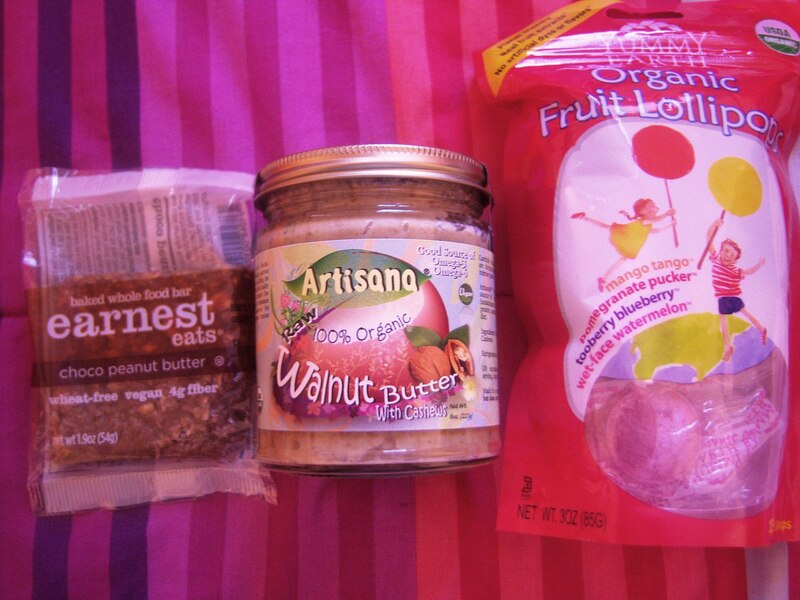 They sent me an Earnest Eats baked whole food bar in choco peanut butter, a jar of Artisana walnut butter with cashews and a 15-pack variety bag of organic lollipops! If that isn’t a great package I don’t know what is! The great part about all these products is that they’re completely vegan (even the lollipops) and have awesome ingredients. So far, I’ve only tried the walnut butter, which is subtle but sweet and nutty. I love having a new nut butter to add to my growing collection, which now includes crunchy almond butter, almond peanut cashew butter and homemade coffee maple pecan butter! I’ll let you guys know what I think of the other two products once I try them out. Thanks again so much, iHerb! And finally, another early Christmas “present”…my last sweet potato! 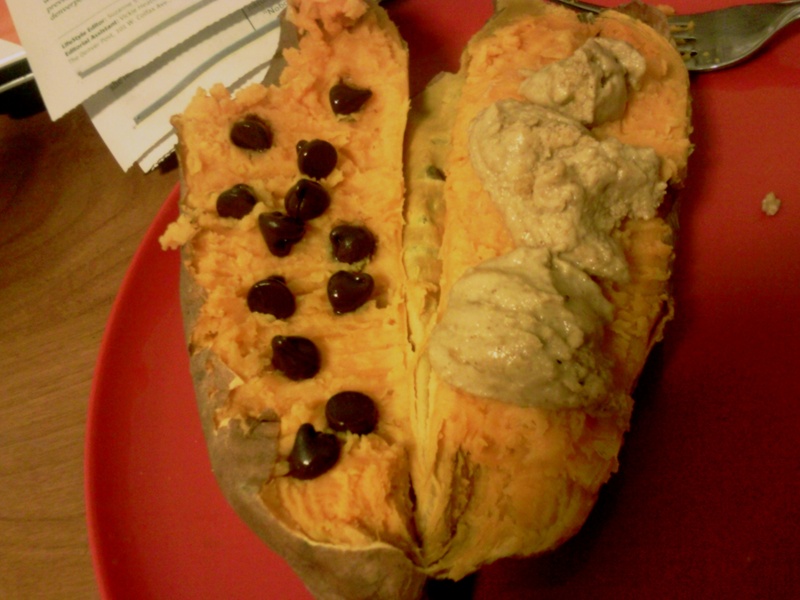 You can bet I savored this bad boy–topped with vegan chocolate chips and peanut flour paste. Chocolate chips sound like a weird topping, but trust me, it was sooooo good, since they got all melty on top of the hot potato! What was your favorite gift ever? How do you top your sweet potato? Simply Having a Wonderful Weekend Time! Heya everyone, thanks for all the input on my fruit and sugar post. Of course, I know fruit is good for me, but with all my eating disordered tendencies, it can be really hard to push all these silly “diet tips” out of my brain and do what’s right for my body. I really love what you all had to say on the subject though! Now onto more fun 😀 Sorry about my really lame title, can you tell I’m in the Christmas spirit? I’ve officially been home for Thanksgiving break for 63 hours as I’m writing this (yes, I really did count!) and it’s been the best two days so far! Friday was a crazy-busy day as I got ready to leave campus for break while also having classes and a test to go to 😦 I was running back and forth between class and my dorm and then I finally met my mom back in the parking lot after my last class. I was so excited to see her, even though I had just been home the weekend before. But I haven’t been home for more than 2 days since summer break back in August so it’s definitely been awhile since I could just take some time to relax at home. We headed straight for this nearby apartment complex that I recently applied to for next year. I am so ready to get out of the dorms after almost a year and a half so I was super pumped when I found out that they accepted my application. So we went on a little tour of the place, and it seems pretty cool. I’m planning on moving into a one-bedroom (because of my horrible roommate fiasco of last year) and the one bedrooms actually are pretty large. My mom seemed to like the place too, and it’s not too expensive, plus it’s on the bus line to campus which is awesome as I might not have a car next year. Oh, and it has an outdoor pool–holllllla! I’m crossing my fingers that we can sign a lease soon. An apartment with a real kitchen, here I come! After that, I had to take a stats test (so ready to be done with that awfulness) and then my mom treated me to some gelato! I haven’t had some in months and I’ve been craving it, even though it’s been cold out, so it was a nice little snack. I got my usual soy chocolate, and some pumpkin. Seriously, the combo of pumpkin and chocolate is up there with peppermint and chocolate. Just so darn tasty! 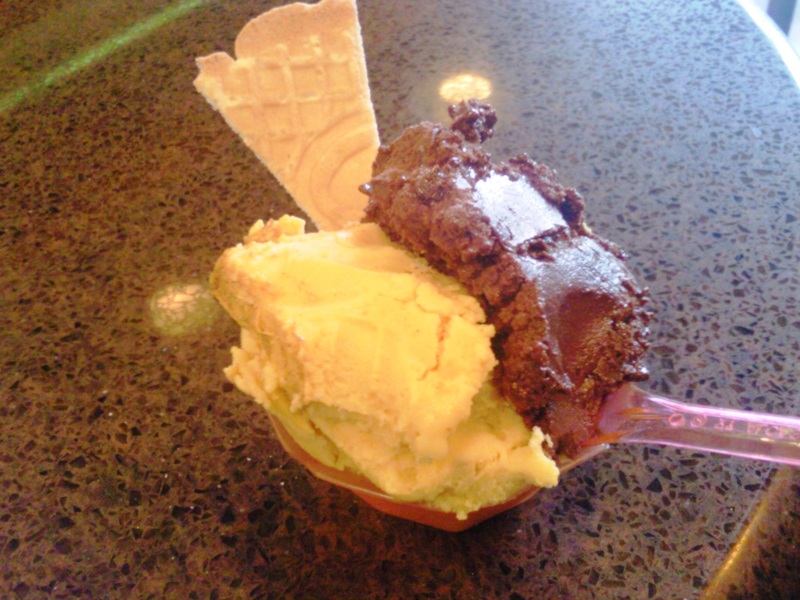 I could seriously live at Gelazzi, it's the best gelato place ever! On Saturday morning, I totally savored the family time at breakfast. On the weekends, we almost always all have breakfast together, and it is the best, with the newspaper all over the table! We are big newspaper readers fo sho, even though I usually only read the lifestyle section and the comics 😉 Then I dragged my dad outside so we could get the mail…because I was expecting something big! Well, not really, but I was excited. I ordered……….peanut flour! Heck ya, you better believe I was chomping at the bit to try it! I’ve seen it on like a billion blogs, and never got to try it, since I have no Trader Joe’s in my state 😦 Come on TJs, come to Colorado, pretty please? I ordered mine off iHerb and I couldn’t wait to dig in. 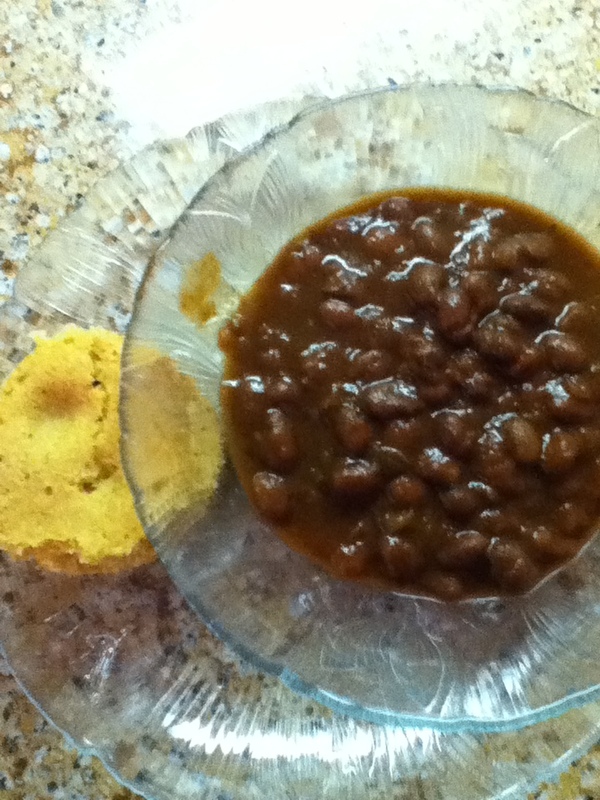 For lunch, I was really feeling some veggie chili, so I heated up some Amy’s black bean chili and I really wanted cornbread on the side. Of course, I didn’t want to make a huge batch of it in the oven, so I thought why not make a microwave corn muffin? 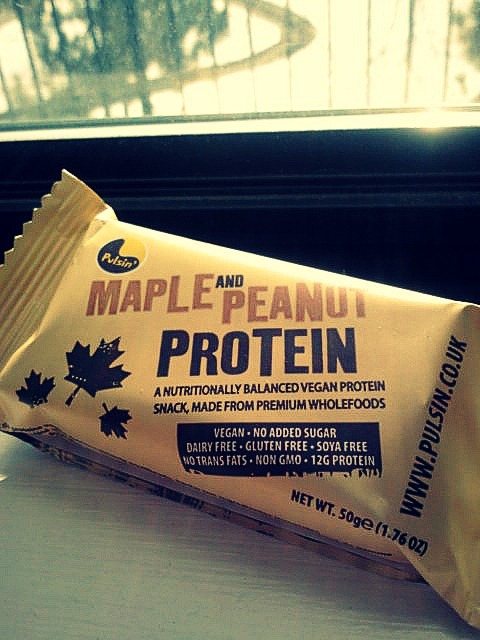 And add peanut flour to the mix–genius! It was soooooo good, you’d think it was actually cooked in the oven, but it only took a minute in the micro to puff up nicely. Veggie chili + corn muffin = best cold day lunch. Mix dry ingredients together in a small microwave-safe ramekin or nonstick cooking sprayed coffee mug. Add wet ingredients and stir til smooth and blended. Place in microwave on high for one minute; add additional time if necessary. Serve with veggie chili or topped with nut butter. I am definitely making more microwave mug cakes with peanut flour–it adds a nice light peanutty taste, not to mention lots of protein! After this delicious lunch, we were off–to Starbucks! They were having a deal this weekend between 2 and 5 pm where you could buy one holiday drink and get another one free. I love their holiday stuff, and couldn’t wait to try their new skinny peppermint mocha so I dragged my dad and sister along. Just kidding, they love Starbucks as much as I do! First, we made a stop at the mall nearby. It was cool to see it all decked out for Christmas–the crowds on the other hand were not so cool. I guess they’re normal around this time of year though. After a brief swing through Hollister (mine and my sister’s favorite clothing store), we hit up Bath and Body Works. I ran out of the vanilla bean noel lotion awhile back, and since I love their holiday lotions, I wanted to stock up. I got a mini vanilla bean noel lotion, a mini pink sugarplum lotion (one of their new ones, and SO good) and another pink sugarplum lotion for my sister since they were 3 for 10. I love Bath and Body Works–lotion is one of my addictions for sure and theirs are the best. Starbucks was also crowded, but it was worth the wait to get my tall skinny peppermint mocha latte–in a red cup, my first of the season! 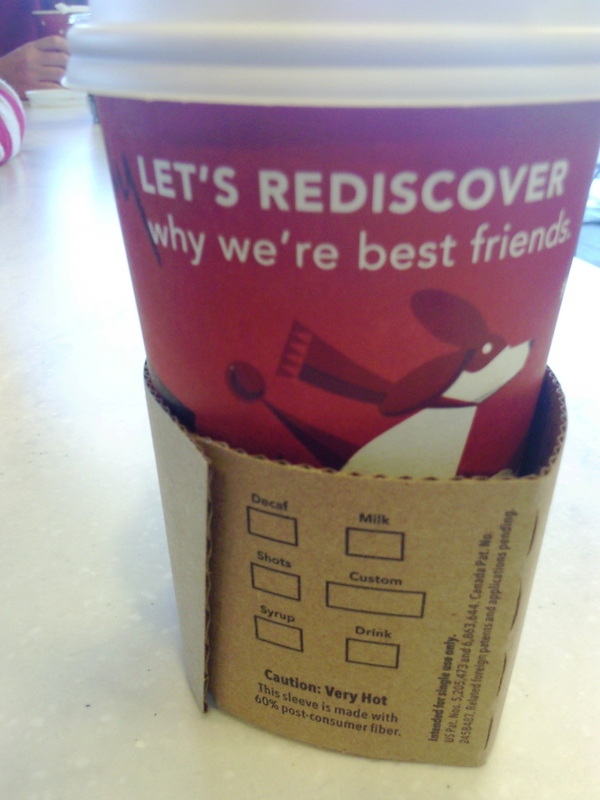 The red cups always make me feel so cozy and excited for the holidays. I was really glad I got a hot drink yesterday, too. It was so windy and cold out that the drink definitely warmed me up. The verdict? I loved the drink. I’ve mentioned before that I always get the skinny versions of their drinks, and this one did not disappoint. Peppermint and chocolate (plus coffee!) is my favorite seasonal flavor combo, and this drink might become my go-to this season. Plus I didn’t get a headache or feel sick afterwards, so that was a win. I’ve found that if I get anything larger than a tall, I get all queasy and feel crappy the rest of the day, which is no bueno. So tall it is for me! Saturday night, we saw my wonderful daddy in a play. Seems like every time I come home, I’m seeing someone in a play. I guess my family is very theatrical 😛 Actually, it’s usually only my sister, though I used to be really into acting in middle school and high school, and my parents used to run kids acting classes. Now my dad mostly just writes plays in his free time, but he got corralled into acting in one of the short plays. The one he was in was pretty funny, as was another one of the plays. The other two were…well, bad, but luckily they were short! A random lunch that was actually great: vegan quesadilla (jalapeno almond cheese on brown rice tortilla), dark chocolate peanut mug cake, cinnamon-spiked butternut squash. Sunday was grocery shopping part uno. You all know how much I love grocery shopping, and shopping in general. My mom and I went to Bath & Body Works (again!) to find some lotions that we ended up having to order online, but we did get hand massages in the store! Then we went to Super Target, aka my favorite grocery store after Whole Foods. Since Thanksgiving is only a few days away, it was busier than usual, and we ended up spending almost 2 hours walking all over the store. Shopping is my favorite form of cardio for sure 😉 By the time we got out of there, our cart was filled to the brim, and I ended up getting some ingredients I need for some things I’m planning on making (recipes to come very soon), as well as a dress, pair of heels and tights for an audition/interview I have with my school’s TV station (I want to be a weather anchor!) and also some Christmas window clings for my window at school. Definitely a successful shopping trip! 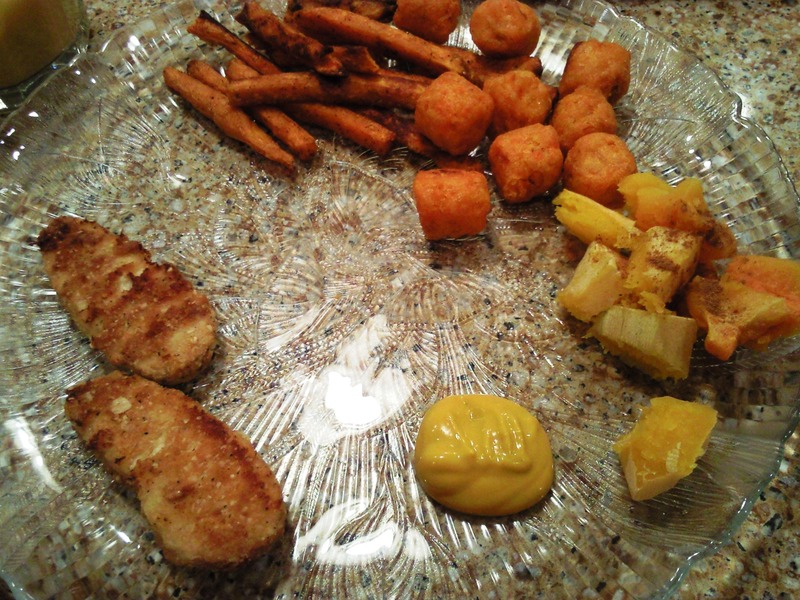 A very orange and yellow dinner: Gardein veggie nuggets, chipotle sweet potato fries, sweet tater tots, butternut squash and yellow mustard. I really wanted some oats this morning, and since I’ve been really into volumized oats lately, I had to plan in advance, so I whipped up a batch of dark chocolate peppermint oats! I think I ended up adding a little bit too much peppermint extract, but they were still nice and minty and refreshing. Dark chocolate peppermint oats topped with half a homemade dark chocolate peppermint waffle. Peppermint overload? No way! Today seemed to be the day of making new, simple recipes. At dinner, I made a smoothie with Silk Nog, organic pumpkin puree and peanut flour (yes, I’m already obsessed) and it actually turned out awesome. Peanut flour really does go with almost everything, it was definitely a smart purchase. 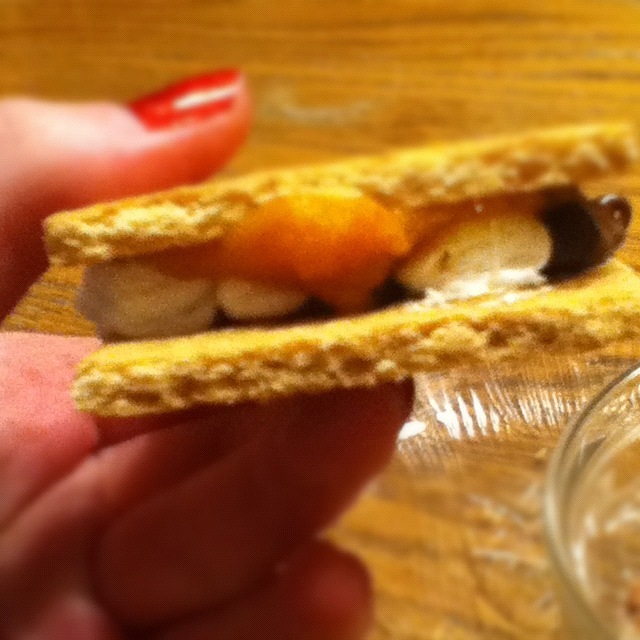 Then I made pumpkin s’mores. Oh yeah, get excited! Pumpkin and chocolate is an amazing combo, I love s’mores in general so I thought it would be awesome. And I was not disappointed! Check out that oozing pumpkin goodness and an Instagram'd photo. Place chocolate chips on one side of a graham square and microwave for 15-20 seconds on high until the chips start to melt. Add marshmallows on top and microwave for 10 more seconds. Spoon pumpkin onto other graham square and place on top of chocolate and marshmallow side. Don’t forget the napkins! Besides my random experiments in the kitchen, I also did some more grocery shopping (this time at Whole Foods–yay!) as well as boot shopping and a hair cut. I always love how my hair looks right afterward until I shower, but then I can never style it the exact same way again. 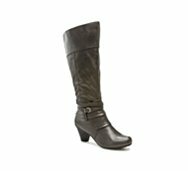 And the boot shopping was also a huge success–I’ll show you guys my new boots in action sometime soon, but for now, here’s a photo from the DSW website, where I got them from. There were a little bit more expensive than I would have liked, but they’re very cute and comfortable, even with a 2 inch heel. I think they’ll get a lot of use and I can’t wait to show them off on campus. Mine are brown, but they are exactly like this! I love my new hair, too! So my weekend was definitely action-packed, but I wouldn’t have it any other way. I had so much fun and I can’t wait for the rest of Thanksgiving break. And no worries, I’ll be getting back to you all with a few recipes very soon! What was something fun that you did this weekend? Do you like tall boots? Heeeeeeey there! Glad to see there was a lot of Whole Foods lovin’ going on around here. I will hopefully be getting my cook/bake on in less than 2 weeks and making some or all of those things. So lately in my life there’s been a lot of new stuff, which is always fun and exciting. So obviously, I had to make a little play on words (get it–who knew…who new…new things?) because that’s how I roll. So lets run down the list of new-ish things, shall we? Who new…voluminous oats could change my life? Dark chocolate java raspberry almond voluminous oats. Probably the best combo I've ever created, just sayin'. Ignore the crapalicious quality of the pic, it was taken at like 9 pm. 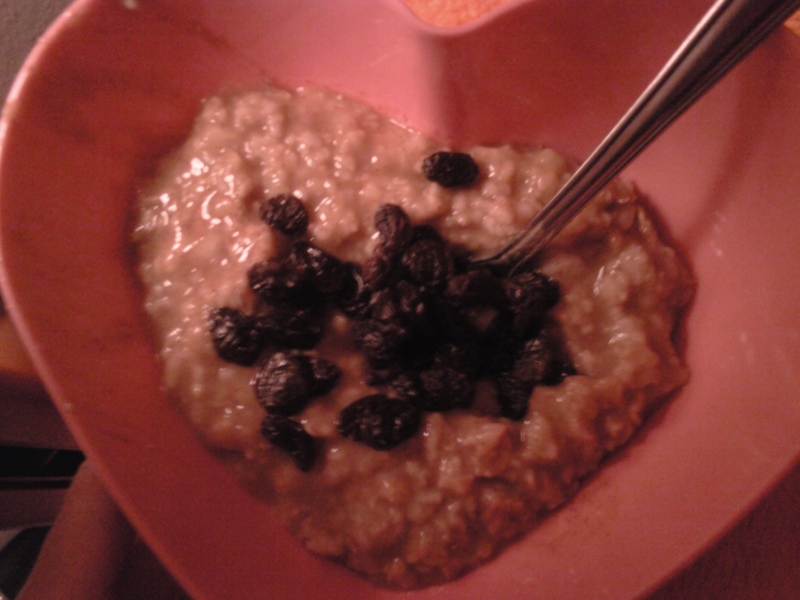 Cinnamon raisin voluminous oats. See how much they fill up the bowl? Ever since I discovered the joy of oats, I’ve been hooked. I’ve been whipping up overnight oats almost every day since this May, and I haven’t gotten sick of them yet. But…no more. I found CCK’s Voluminous Oatmeal Trick and I’ve abandoned my beloved overnighters in favor of thick, fluffy, volume-filled oats. Sure, I still eat them cold (for some reason, they are just SO good that way) but now they actually take a little prep work, which I don’t mind at all. Sure, they tend to spill in the micro which is annoying, but who wouldn’t want double the oats for the same amount of calories? I was shocked at the amount of oats my usual 1/4 cup made when I used this method. And the texture is pure awesomeness. Do I miss my overnighters? Well, yeah, but not enough to quit my addiction to voluminous oats! Who new…Iron Chef America would do a challenge with oatmeal? Okay, okay, so this episode isn’t exactly new (I found out it was from the 2010 season) but I just saw it for the first time on the Food Network a week or so ago. Usually, they do things like exotic veggies or something, but oatmeal? So cool to see for a self-proclaimed oats lover like me. Who new…I’d have issues signing up for next semester’s classes? 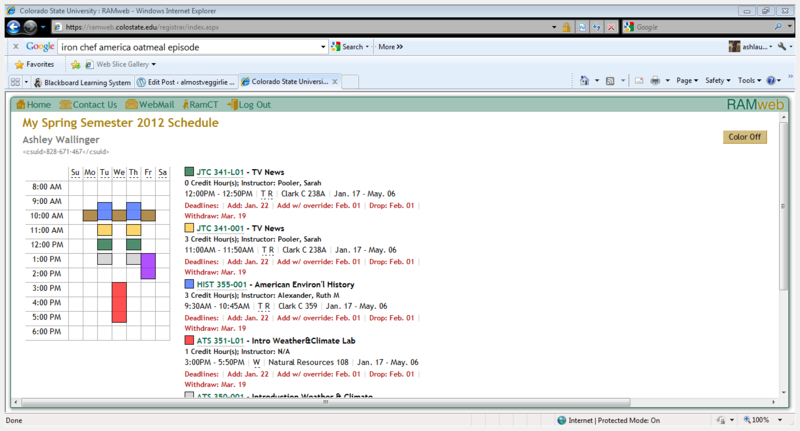 Honestly, making your class schedule in college is way less stressful than in high school, at least at my university. But this year, I was freaking out because I need this one class to get an internship at a TV station this summer, and it’s a class mostly for juniors and seniors. I’m a sophomore. So I had to sign up for classes later, because of my class standing. A few days before my sign up date, there were only 4 slots out of 18 left. The day before, there were 2. And when I finally signed up for it, there was exactly one left. Yep, I got the last spot! I was so ecstatic to get it that I texted my dad about it. But signing up for other ones was more of a hassle. I need an additional comp class, and it’s a 300 level, so I thought I’d be able to get in no problem. Well…it wouldn’t let me, since I’m not a junior or senior. Urgh, what classes do they expect me to take then? I’ve already got most of my graduation requirements done or currently being finished. A lot of upper level journalism classes were already filled or didn’t work with the class I already signed up for. In the end, I’m taking two American history classes (for my option area, which is like a minor but less official), broadcast news and a weather and climate class (I’m considering being a TV meteorologist!). I also finally got into a TV studio production class that I needed an override for and I’m waiting on a business reporting workshop class to open up. If I get that, my spring semester looks pretty decent, no real math or science classes and a lot of journalism and history, which I love. Who new…you can make a healthified sopapilla with just two ingredients? I can’t remember if I’ve ever actually had a sopapilla (maybe in a Spanish class fiesta a long time ago), but it wasn’t on my agenda to recreate one…but I did. 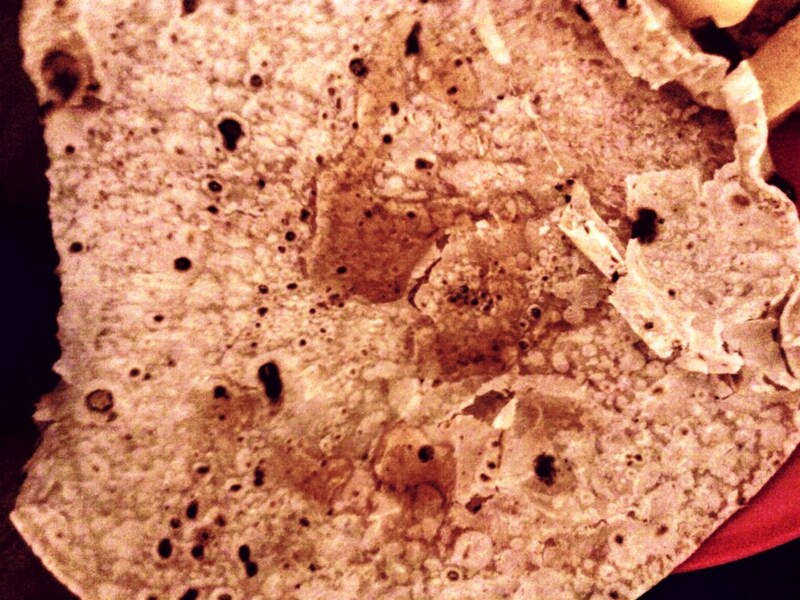 A few nights ago, I was having a brown rice tortilla and on the side I had a little bit of honey. 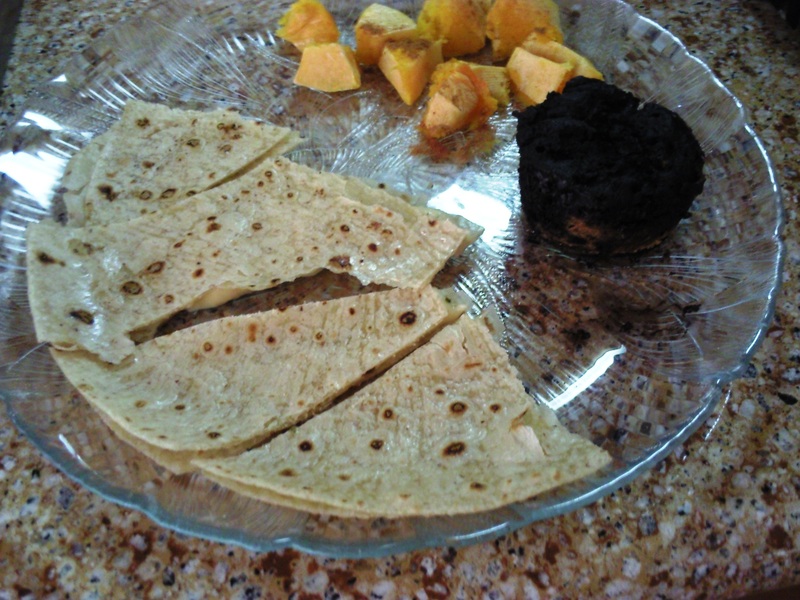 I was planning on making a wrap with the tortilla, honey, almond butter and butternut squash, but then I remembered how easily the tortillas fall apart. So I just ended up putting the honey in the tortilla, folding it over and well, it reminded me of a sopapilla for some reason! I mean, it actually does seem pretty similar to one, only way more healthy. Brown rice tortillas are pretty chewy like fried dough and putting honey on it sweetens it up just like with a real sopapilla. But you can feel good about eating this 2 ingredient “sopapilla” because it’s gluten-free, not fried and sweetened with just a little raw honey (well, if you use the ingredients I did). It makes a perfect little sweet snack. Who new…cauliflower could be purple? Purple overload! 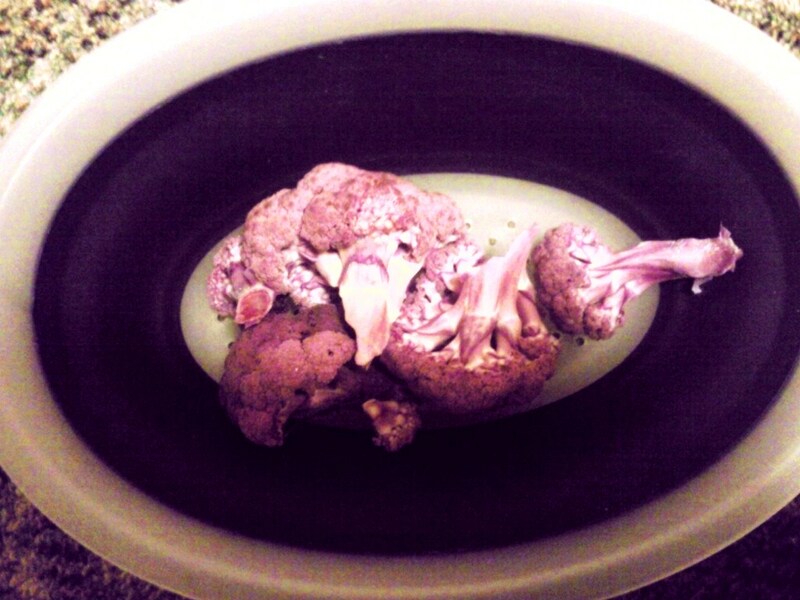 Purple cauliflower in a purple mini colander. I gotta admit, I was pretty weirded out myself when I first saw it at Whole Foods. But they were giving out samples of raw colored cauli and I just had to try it. It’s actually the same as regular cauliflower, just prettier. I always eat my cauli raw because it’s delish that way, especially dipped in spicy salsa! Who new…I’d actually order something from iHerb? 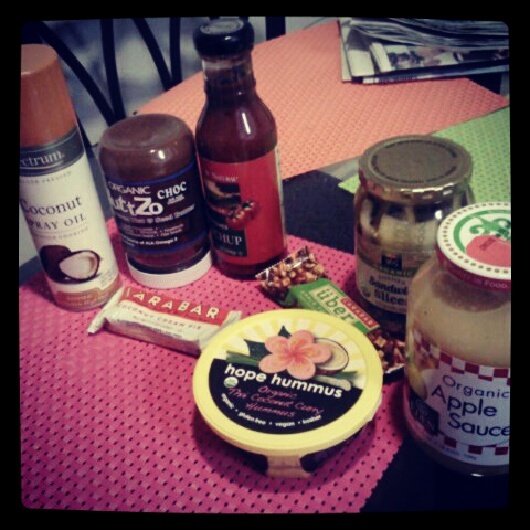 My iHerb goodies. 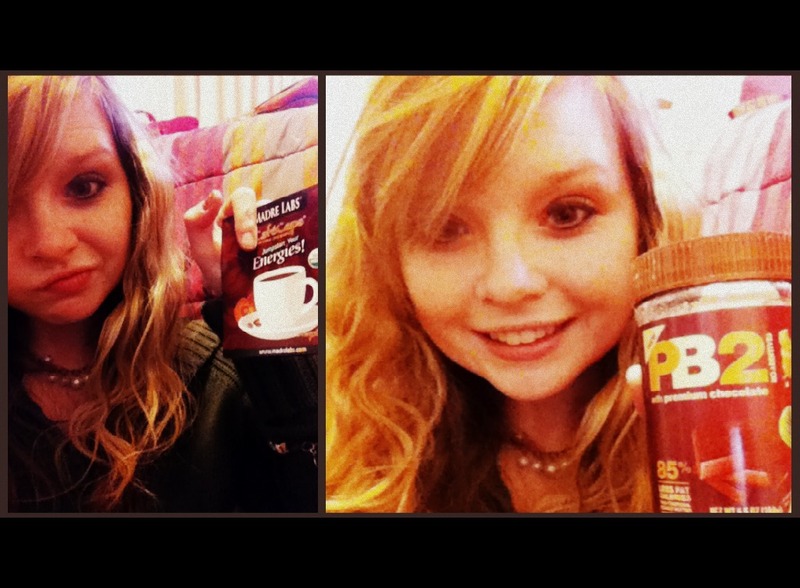 I Picnik'd this photo, in case you were wondering why it looks weird! Oh, and P.S. for any of you who want to check out iHerb for the first time, you can use the code NOQ779. You can thank me later 😉 Just kidding, but iHerb is my new go-to for foodie finds. Liebster’ is German for ‘dearest’ or ‘beloved’ but it can also mean ‘favorite.’ The idea behind this award is to bring attention to blogs with fewer than 200 followers and show some support. So I’m gonna give it to… Chloe at LightOnMyFeet, Aja at Writing and Recovering, Michelle at Oats ‘n Bows, Kat at A Dash of Fairydust and Ragnhild at Vegan Aphrodite. What’s new with you? Have you ever bought anything from iHerb?